In the basic design of the Eclat sports car, Colin Chapman decided to include an element of practically into this affordable four seater. 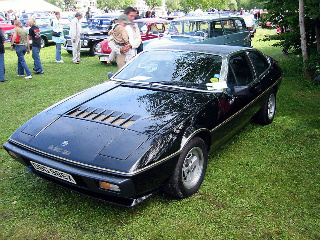 The origins of the car were firmly rooted in the Lotus Elite Mark 2, which was phased out in 1983. Consequently, it had a fastback body styling, which represented a more practical solution for storage in the boot. In 1973, when the Elite was at the prototype stage, the GRP shell was restyled in such a way that the Elite's front was retained, but it incorporated a sloping roofline that blended smoothly into a fastback tail in the form of a conventional hatchback. This creation was initially designated the Elite Coupe but, subsequently, was renamed the Eclat. The car was in launched in October 1975, with continuous production until 1982. It was offered in a number of versions, such as the basic 520, which used the aluminium, double overhead cam, 4-cylinder, Lotus 907 engine, linked to a four speed gearbox from the Ford Capri saloon, and a higher final drive ratio than that used on the Elite. However, in the 522 version, the Ford gearbox was replaced with a five speed unit from the Austin Maxi saloon, and it was better equipped, with such luxuries as air conditioning. The Eclat was a front engined, rear drive, three door, 2+2, fixed head coupe. 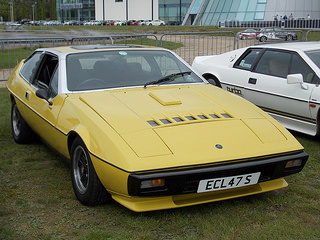 The Series 1 Type 76 sports car, introduced in 1974, was powered by the 1973 cc, Lotus 907 engine, developing 155 bhp, as used in the Elite Mark 2 Type 75, and fitted with two Stromberg CD2 SE carburettors. 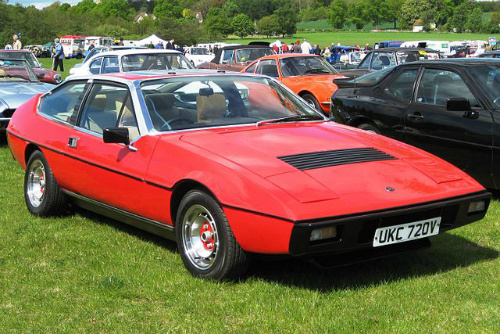 The Series 1 was phased out in 1980, and replaced by the Eclat Series 2 Type 84, which incorporated the larger 2174 cc, Lotus 912 engine, as used in the Elite Mark 2 Type 83. This model had a compression ratio of 9.4:1, and was fitted with two Dell'Orto, DHLA 45 carburettors. However, in order to satisfy US emission regulations, the 912 engine only developed 160 bhp, compared with 155 bhp with the 907 unit. These Lotus 900 Series engines turned out to be very successful, and were later used in the forthcoming Lotus Esprit. The Series 1 Type 76 Eclat was fitted with a steel chassis, which was attached to the glassfibre body at the rear. However, curiously enough, a felt strip was positioned between the chassis and the body to provide a good fit. Unsurprisingly, in damp climates, the felt would absorb and retain moisture, so accelerating corrosion of the steel chassis. Since replacing the chassis of the Elite and Eclat Types 75 and 76 sports car was quite uneconomical, then this had a devastating effect on resale prices. Fortunately, this defect was overcome with the introduction of the Elite and Eclat Types 83 and 84 models, in which the steel chassis was galvanised, as standard equipment. In terms of Lotus models, the Eclat is still in demand on the second hand market. In fact, as a used Lotus, it can sell for anything from £1,000 to £8,000, although the average is normally between £3,500 and £4,000.